Let's go back 42 years to the year 1972. Almost a million Arabs lived in the administered areas. The last census was in 2013. over 4 million Arabs lived in the Palestinians areas. 4,420,549 according to the latest figures. That growth has happened in the past 41 years. 1. 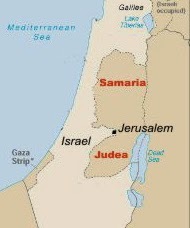 Judaea and Samaria, 640,000 of them lived here, the so wrongly called West Bank area which is 5,900 sq km or 2,270 sq. miles. Between 1948 and 1967 it was ruled by Jordan, which annexed it in 1950. Originally part of British Mandate of Palestine-taken in WWI (first world war) from Ottoman Empire who lost to the Allies (England, France, USA) . 4 Israeli settled towns were pulled out by Israel in 2005. In 2010 they had 2.52 million. By 2013 they had 2,719,112 . By July 2014 Judaea, Samaria and East Jerusalem's population numbers 2,731,052. This includes Arabs (83%) and Jews (17%). 2. 388,600 Arabs were living in the Gaza Strip of 360 sq. km or 140 sq. miles, same history but administered from 1948 to 1967 by Egypt who did not annex it. 2007 voting chose Hamas terrorists to rule. 2012 UN decided it was part of the future state of Palestine Israel left by September 14, 2005. By 2010 Gaza's population was up to 1.60 million. (July 2010 was 1,604,238). By 2013 they had 1,701,437. 4. 8,000 were living in the Golan Heights which consists of 1,250 sq km or 500 sq miles. 1948 to 1967 administered by Syria. Citing " UN Resolution 242, which calls for "safe and recognised boundaries free from threats or acts of force" Israel in 1981 took it over with Israeli law and administration. Approximately 10% of Syrian Golan Druze have accepted Israeli citizenship. According to the CIA World Factbook, as of 2010, "there are 41 Israeli settlements and civilian land use sites in the Israeli-occupied Golan Heights" . "Jews started to move into the Golan in the 1970s. The Israeli-occupied territory is administered by the Golan Regional Council, based in Katzrin, which has a population of 6,400. There another 19 moshavim and 10 kibbutzim. In 1989, the settler population was 10,000. In 2010 the settlers had expanded to 20,000 living in 32 settlements." The former population governed by Syria, the population of the Quneitra Governorate numbers 79,000. This population consists mostly of Moslems. The smaller Christian communities are made up of Greek Orthodox and Latin Orthodox who live mainly in Ramallah, Bethlehem and Beit Jala. Living in the Golan Heights are the Druzses. Today Bethlehem is 2/3 Muslim. Ramallah today is the sea of Fatah. The status of the administered areas had not changed since June 1967 until 1973 as it was pending a peace settlement in which the borders between Israel and its neighbors would be then decided. It is that of territories occupied during a war. Israel had not annexed any part of the areas by 1973. East Jerusalem was reunited in June 1967 with West Jerusalem. 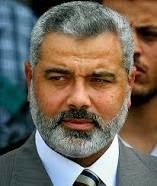 Ismail Haniyeh, elected January 25, 2006, Hamas Prime Minister, changed to Salam Fayyad by Abbas on June 14, 2007, remains disputed, taken over as head of Gaza. .
Israel administered them because they were attacked in June 1967 by all the Arab nations and won this war that lasted 6 days. This meant that until a peace settlement was arrived at, Israel had a basic policy that they followed. 1. Maintain security for all, Israelis and Arabs alike. 2. People under Israel administration would live normal lives without losing contact with other Arabs. 3. Make possible economic development happen quickly. 4. Encourage co-existence and cooperation between Arabs and Israelis. to set example for future relations between the 2 peoples. 1. Goals were being attained. 2. Areas were quiet and thriving. 3. Local affairs administered by local population. 4. Open bridges on the Jordan allowed movement in both directions between areas and Arab States.Before 1967 they lived separated lives. Who administered the Administered Areas in Accordance with International Law? 1. Israel Defence forces appointed military governors (army officer) for each of the 4 areas. Each of these commanders were sovereign and responsible for military (security) and civilian branches (economic and social services). .
2. Local affairs were to be administered by the Arab population through existing bodies such as municipalities and police. Because of this self governing, the staff of the Israeli Military administration was very small. there were 500 staff members in Judaea and Samaria and Gaza compared with 12,500 local personnel. 3. In Judaea and Samaria there were 23 municipalities and 31 rural councils. 4. In Gaza and North Sinai there were 3 municipalities and 7 rural councils. Following Jordanian law, there were elections in 1972. They had lively election campaigns. Candidates were on TV. voter participation was 75%. Half of the mayors were replaced by new ones. Major conflict erupted in Gaza in December 2006, when the Hamas executive authority attempted to replace the Palestinian police as the primary authority in Gaza. Schools in Samaria and Judaea teach hatred towards Jews. Their maps do not show Israel-the land is labeled "Palestine." Children are brainwashed through songs, TV children's programs to hate and to kill Jews. 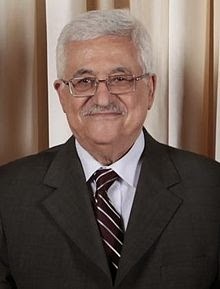 May 2012, a new Fatah government appointment in the "West Bank", in a move that has angered the Hamas government in Gaza, which slammed the decision to form a new cabinet, accusing Abbas’s Palestinian Authority and the Fatah movement he heads of abandoning reconciliation. On September 2012, Ismail Haniya, head of the Hamas government in Gaza, announced a cabinet reshuffle, appointing seven new ministers including a new finance minister. Haniya said the reshuffle was "normal procedure after nearly six years of work by some ministers and in order to achieve specific goals for the current period. offered the invitation on Sunday while in Bethlehem. Incidentally, Bethlehem had 8,820 population in 1945.
the Israeli travel regulations, but "however, other commentators attribute the diminishing Christian population primarily to persecution of Christians by Muslims." This is something the Pope asked Abbas to start protecting; the Christians. Messsages from a Syrian Jew Trapped in Egypt (on Sinai, diving in Taba).